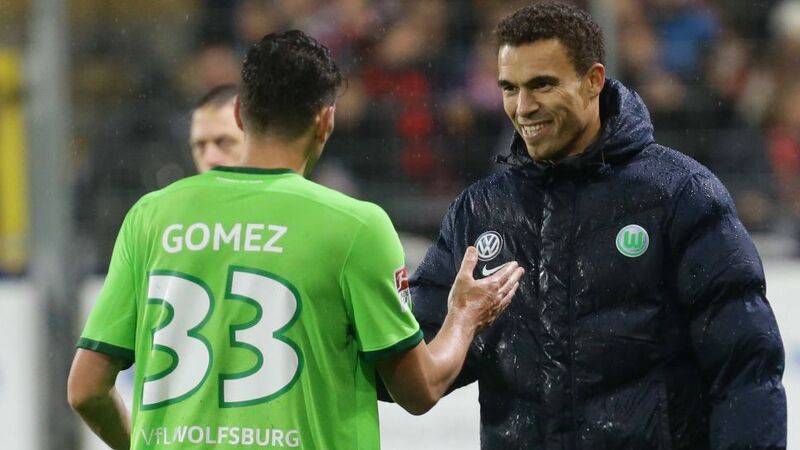 Stepping into the breach after the departure of previous head coach Dieter Hecking, Valerien Ismael has steadied the ship at VfL Wolfsburg. Is Mario Gomez in your Fantasy Bundesliga XI yet? No? Then you're missing out on a bargain! The Frenchman guided his team into the international break with an impressive and morale-boosting 3-0 win at SC Freiburg on Matchday 10, and is now planning the Wolves' rise up the table. In an exclusive interview with bundesliga.com, the 41-year-old opens up on the Wolfsburg side he inherited, the improved form of Mario Gomez and Matchday 11’s home clash with a rejuvenated FC Schalke 04.
bundesliga.com: Valerien Ismael, when taking over a side lacking in confidence midway through the season, what are the first steps you need to take? Valerien Ismael: The first thing was to get a picture of the team, work out what had happened in the group and what was on their minds. The best way to do that was by having one-on-one conversations. Ismael: My fear was that I’d find a team feeling battered by all the negative results, but thankfully that wasn’t the case at all. I came across a team that was intact and willing to work. However, the players, even the ones with top-level international experience, were lacking in confidence. So we first had to build up their confidence again. bundesliga.com: After the third goal in the 3-0 win against Freiburg, the entire team ran towards you to celebrate. Did you have goose bumps in that moment? Ismael: It was an unbelievable gesture from the team and it definitely signified that that’s our way forward. At the time I didn’t actually see it as I was preoccupied with a substitution I was about to make. But then I turn around and I see the whole team in front of me. It was a lovely moment and it confirmed the feeling I had in training in the week leading up to the game: that the team want to carry on this path with me. bundesliga.com: You’ve already made a big decision in terms off personnel by reinstating Diego Benaglio as your first-choice goalkeeper, ahead of Koen Casteels. How hard is it to tell the previous no.1 that he will be benched again? Ismael: Making decisions, even unpleasant ones, is part of the job. You analyse the situation and look at what leaders you need, not only the players that deliver with their performances but also those that can help the others. That was the thought process behind the decision. Diego was and remains our captain and the team needs him in this situation. They can learn from him. Ismael: If it were that easy, I’d lay a healing hand on every player (laughs). That’s not how it works. It’s those individual conversations I mentioned earlier. I had expected Mario to be in the doldrums but that wasn’t the case either. Obviously he was frustrated not to be scoring, but he never doubted what he can do. So I encouraged him to be greedier with his shooting so he could build up his confidence. It was only a matter of time before he scored and the fact he got two in Freiburg made us all happy, but him especially. bundesliga.com: Up next you face Schalke, a team that also started the season shakily but have since stabilised. Ismael: It will be a really intense match, just like every game in the Bundesliga, where anyone can beat anyone. Schalke will look to carry over the momentum they’ve gained in their nine unbeaten matches, but we’re at home and we want to give our fans a different picture of ourselves to the one they’ve seen so far this season. If we can execute what we’ll work on in training this week, we can win the game. bundesliga.com: Do you consider Schalke as a ‘top team’ again? Ismael: Looking at the table, you can’t call Wolfsburg-Schalke a top clash, but if you look at the two squads, then you can say it will be a game played at a high level.